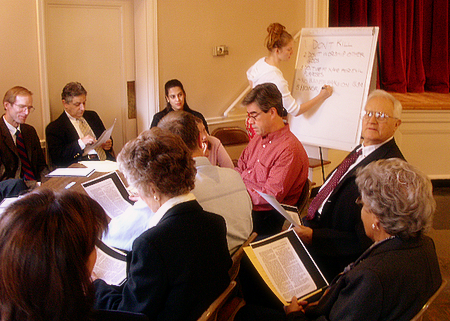 The Scarsdale Congregational Church provides a number of adult education opportunities for learning and spiritual growth. These varied events are also a wonderful way to meet new friends in our church community. They include small group sessions on topics which range from early Christianity to major world religions, impromptu “Book Clubs” on current books of interest as well as classics of timeless significance, opportunities for meditation and prayer, focused study of Biblical stories and Forums on pressing social issues. Check the Upcoming Events calendar for planned Adult Education classes.